The Athens County Engineer’s Office is advertising for bids on the Kimberly Road Paving Project. Look at the Bids and RFP’s page under the “Information” menu for more details. The Athens County Engineer’s Office is advertising for bids on the ATH-CR73-0.00 Paving Project. Look at the Bids and RFP’s page under the “Information” menu for more details.  The Athens County Engineer’s Office is advertising for bids on the ATH-CR33A-0.00 Paving Project. Look at the Bids and RFP’s page under the “Information” menu for more details.